Another giant step in the development of a smart, accessible and digitally fuelled community along Toronto’s waterfront has been taken, with word that a major planning and development agreement has been reached between Waterfront Toronto and Sidewalk Labs. Waterfront Toronto is a public advocacy agency formed by three levels of government in Canada; it will assume a lead role in the revitalization project. Sidewalk Labs is the urban innovation arm of tech giant Alphabet (formerly Google), and it will provide technology and integration expertise. But are for-profit companies the best gatekeepers of public information? On one hand, this public agency/for-profit company partnership envisions a new kind of urban environment, a productive high-tech community built around the latest design concepts, advanced accessibility and productivity technologies, and other innovative solutions. Others see a new and potentially worrisome form of urban governance: smart cities are sophisticated platforms built on the latest big data analysis techniques, collecting and utilizing unprecedented amounts of personal activity and resource usage data, in many cases without user consent or awareness and without clearly defined boundaries on the collection or utilization of that data. 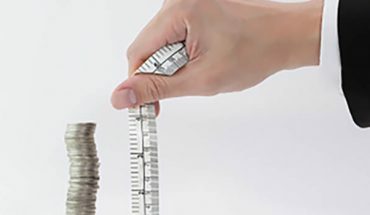 In fact, the new agreement embraces as-yet untested products and services: project managers intend to “identify, engage and evaluate entrepreneurial companies that are developing new technologies”. Toronto (and other such cities) are becoming testbeds for smart city development, including the Internet of Things and 5G wireless connectivity; big data collection and analytical tools; and other leading-edge technologies. 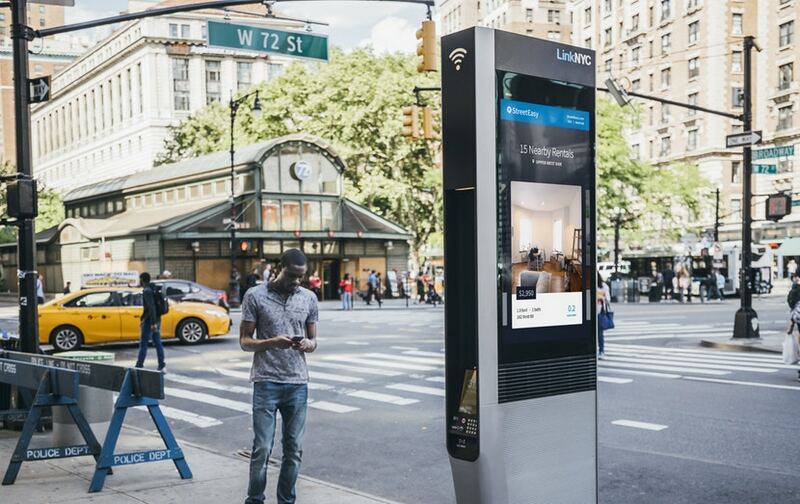 Techno-enabled Wi-Fi kiosks with embedded computing tablets, USB charging ports, keypads for making VoIP calls, video cameras and large video screens re being rolled out in many major urban environments, like New York City. Image from Intersection. 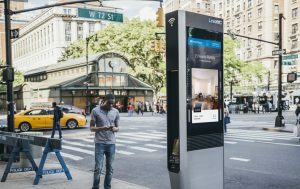 One of the newest examples of advanced sensing and smart tracking technologies deployed in the busy urban environment is replacing one of the older ones: those old outdated coin-operated phone booths are making way for techno-enabled Wi-Fi kiosks with embedded computing tablets, USB charging ports, keypads for making VoIP calls, video cameras and large video screens. The kiosk services are free, thanks to those screens, which will carry display advertising, local information search results and other content. 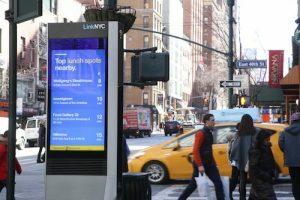 Thousands of these connected kiosks have been deployed in the United States; published reports indicate that plans for kiosks in Toronto have been unveiled. Not surprising – the kiosk developer and deployer is a company called Intersection; one of its largest investors is Sidewalk Labs, and the two entities share offices and staff: Sidewalk Labs CEO Daniel Doctoroff is the chair of Intersection’s board. Sidewalk Labs is owned by Google’s holding company, Alphabet Inc.
Data like location events and histories, purchase habits, search queries, device battery status and more can be tracked, collected and analyzed in order to hit the advertising bull’s eye, as it were. Intersection image. In an effort to connect the digital online experience with the physical urban one, these kiosks will present targeted ads to people nearby; interactions between the kiosk and the passerby (or their smartphone) can be itemized, and other user data like location events and histories, purchase habits, search queries, device battery status and more can be tracked, collected and analyzed in order to hit the advertising bull’s eye, as it were. It may also supplement the information it collects from users with “information collected by third parties. Third parties may include advertising partners or other providers”. The data is anonymized and aggregated, Intersection says. 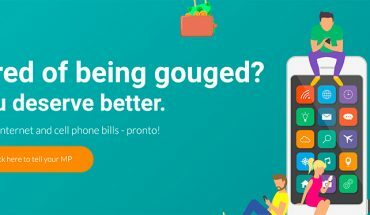 But the parent company is under investigation in the U.S. after reports said that it recorded the location data of users even after they opted out of the service. In any event, much like the free kiosk plan in which start-up and deployment costs are borne by the provider in return for customer data and potential end user interactions, the companies behind the Toronto waterfront development are willing to pony up significant resources (Sidewalk Labs says it’s prepared to put some $50 million USD into the project) in the expectation that it gets a return on the investment). In the online world, that kind of business model depends on being able to sell personal user data to advertisers and other third parties. As industry analysts like to say, “If you are not the customer, you are the product.” So, too, in the physical space of the smart city. As more highly connected and sensored communities emerge, the true value of our data must be established, and questions about the use, ownership and storage of our data need to be answered. The risks of depending, if not entrusting, valuable data to for-profit companies and commercial third parties must be identified, and managed in an open and accessible manner. Waterfront Toronto and Sidewalk Labs are holding a series of public meetings and plenary workshops as the project continues, in part to address these very concerns. While participation so far has been good, and discussions have been engaging, many questions about the entire project, not just data privacy and security, remain unanswered for now. Waterfront Toronto is seeking public input, and Sidewalk Toronto is hosting a public roundtable event this month and yet another in November. Maybe tonight (Wednesday, September 26) some of those questions will be addressed in a session about accessible cities, as Sidewalk Toronto hosts a public roundtable. There’s yet another in November. And, individual committee meetings, such as those held by the Digital Strategy Advisory Panel Meeting, are also on the calendar. Then, a fifth public roundtable will be held in early 2019 after the release of a draft Master Innovation and Development Plan. 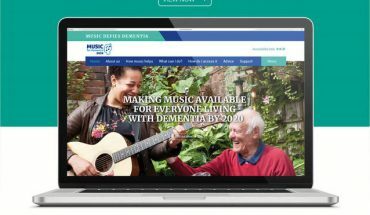 So there are several giant steps remaining before that smart, accessible and digitally fuelled community rises along Toronto’s waterfront. And a couple glances over the shoulder.